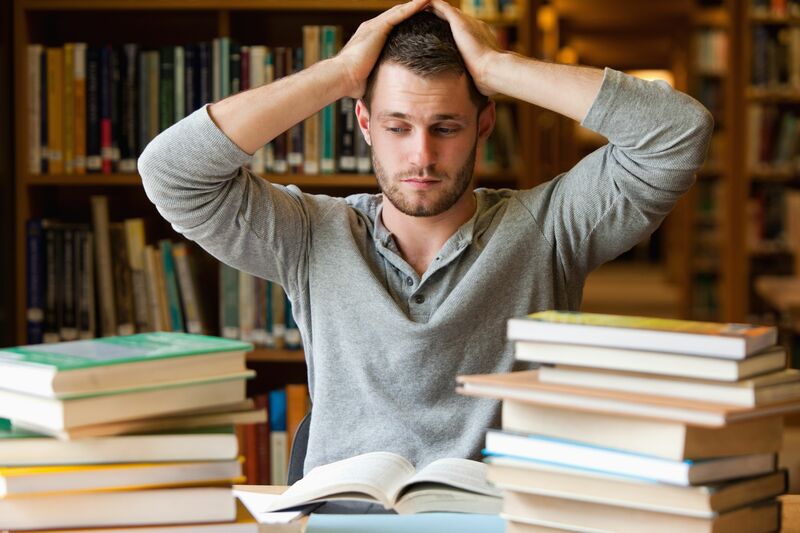 Final exam week is just around the corner for many students.Taking finals can be an extremely stressful time for many of us whether we are in college or high school.The stress is starting, the rate of pimples is increasing, and the amount of sleep is diminishing! Why must they torture us with all of these exams at once? It is extremely important to utilize self-care methods in order to make this week of exams easier to tackle. Here are some great tips for you to use to lessen your worrying and help you get better scores on your exams! Studying for your exams is an excellent idea! But do not cram for an exam for a few hours the night before! For those of you who have taken a psychology course, I am sure you know that the best way to study is by studying for about 15-20 minutes each day over a period of time. Just set an alarm on your handy dandy smart phone to remind you each day when its time to study and then use it as a timer! You don't want to do all of that studying and then be late and in a rush to your exam (or pant and shoeless like Lip here)! Write down the dates, times, and locations of your exam. Or put it in your handy dandy smartphone calendar! Write it on your arm. Whatever you'd like, just know where you are going so you can arrive early and can the full amount of time to take the test. It's important to maintain the same number of hours you sleep. Start going to bed earlier a week or two before final exam week to adjust your body. Skip the party for once. Go to bed so you can use your brain and focus for your exams. If your friends are begging you to come out with them, tell them they are not paying for your tuition, and you need to pass. You are there for you! Don't push yourself until your breaking point. Watch a movie or a show with friends. go shopping, listen to music, draw, sing, dance. Do something you like to do to give your brain a rest. 5. Get some study buddies! Divide and conquer! You and your friends can make some flashcards and share them to study. Quizzing each other is helpful as well. Friends can help motivate you to study, but make sure they don't distract you and go off topic too much. Laziness is easy. Laziness gets you nowhere. Find some mental toughness and work hard. You have to work hard now so that life is easier later. (You will thank me when you are on your yacht sipping on something cold instead of flipping burgers at some fast food chain). If you tell yourself "Oh, I'm gonna fail" or "I can't do this, it is too much work," then you are going to do poorly and you probably deserve it. If you do not put the work in, then you will not get good results out. Keep a positive attitude and tell yourself "I'm going to do well on this exam!" If you can do the above mentioned things, then you will do very well on your exams. Good luck to everyone!